Amritsar Prison, in less than a year of intervention, has been developed as a Training and research Centre. Various training programmes, seminars and workshops are organized here for the Prison officers of Punjab and other states. Besides this short duration orientation courses are organized for the newly appointed IAS, IPS, PCS(Judicial), PCS(Executive) and PPS officers from time to time. We have provided free access to the students and academicians for conducting research projects, reports and dissertations on the various aspects of Prison and Prisoners. 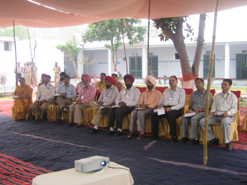 Workshop of Prison officers held at Central Jail Amritsar: A workshop for prison officers of Punjab was organized on July 8, 2006. The workshop was chaired by Sh. HR Chadha, the then ADGP Jails Punjab. Around 30 officers from various jails participated in this workshop. The officers took a round of the jail and later on a presentation was made by Kunwar Vijay Pratap Singh about ongoing reforms in Amritsar Prison. 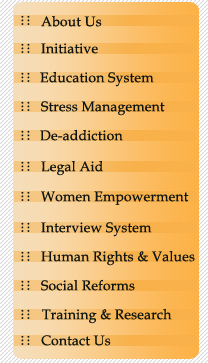 It was decided to implement these reforms in all the jails of Punjab. Seeing is Learning(SIL): Amritsar prison in collaboration with the Bureau of Police Research and Development, Government of India organized a training programme "Seeing is Learning" (SIL) at Central Prison, Amritsar for Superintendents of Prisons of North India on the 8th and 9th November, 2006. 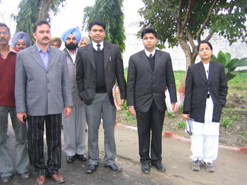 Training for the judicial officers: One day training programme for the newly appointed judicial officers was organized on 26.12.2006 in Amritsar Prison. The officers were given exposure on various aspects of prison administration, day to day functioning, camp courts, problems related with Undertrials etc. Drug Addiction in Punjab: A Sociological Study: -- This research study was conducted by Dr. RS Sandhu of Guru Nanak Dev University, Amritsar. In this research, data was also collected from the jail especially about the inmates who are drug addicts as well as those who have been arrested in drug related cases. 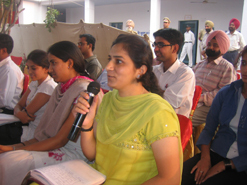 Ms. Sarju Gupta has submitted her M.Phil thesis on Prison Reforms in Kuruchhetra University in 2006. She has done this research based on case studies from Amritsar Jail. Human Rights in Indian Prisons: A case study of Amritsar Jail: This is a doctoral research being conducted by Kunwar Vijay Pratap Singh, IPS from Guru Nanak Dev University Amritsar. Besides this a number of students of Law Department and Social Sciences are undertaking various research studies on different aspects of Prison and Prisoners of this jail.